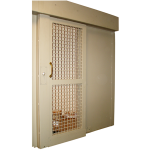 All Airteq Electro-Mechanical products are designed for use by both Juvenile and Adult Correction Facilities in the following areas: inmate housing, entrances, corridors, safety vestibules and administrative areas. The Motorglide 7210 is an electrically powered locking device designed for use in applications requiring remote electrical unlocking and manual movement of sliding doors. 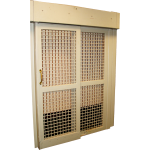 This motorized locking system provides smooth, quiet operation with minimal maintenance. Low power requirement (24 VDC) provides substantial cost savings in electrical power distribution and controls. The Motorglide 7320 is a maximum security, electrically powered, motorized rack and pinion sliding door device for use in applications requiring full remote control of sliding doors. 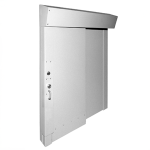 It provides for remote unlocking, locking and movement of sliding doors for cell fronts/runs. The drive systems provides precise control and smooth operation. 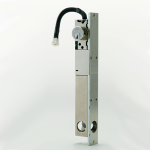 The 9524 provides for electric or manual locking / unlocking of swinging doors. It can be operated from a remote location or by key at the door. For additional security, it is recommended that the 9524 lock be used with an Airteq high security door position sensor. 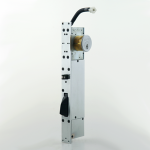 The 9524 provides for electric or manual locking / unlocking of swinging doors. It can be operated from a remote location or by key at the door. The 9524 provides a perfect solution for retrofit/modernization projects. Using the 9524 Motorlock with a custom lock tube will allow for product upgrades without the need to replace doors and frames. 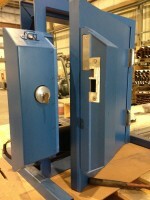 The 9624 provides for electric or manual locking / unlocking of swinging doors. It can be operated from a remote location or by key at the door. For additional security, it is recommended that the 9624 lock be used with an Airteq high security door position sensor. An automatic door closer may also be used. 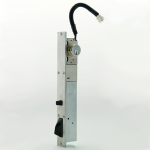 The 9724 provides for electric or manual locking / unlocking of swinging doors. It can be operated from a remote location or by key at the door. For additional security, it is recommended that the 9724 lock be used with an Airteq high security door position sensor. An automatic door closer may also be used. 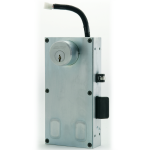 Motorlock 9724PMore» The 9724P provides for electric or manual locking / unlocking of swinging doors. It can be operated from a remote location or by key at the door. For additional security, it is recommended that the 9724P lock be used with an Airteq high security door position sensor. An automatic door closer may also be used. 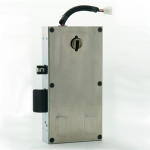 The Motorlock 9924 provides for electric or manual locking / unlocking of swinging doors. It can be operated from a remote location or by key at the door. 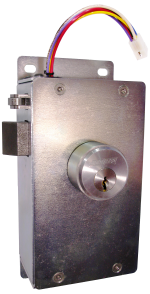 The lock utilizes a 24VDC motor. For additional security, it is recommended that the 9924 lock be used with an Airteq high security door position sensor. An automatic door closer may also be used. The Motorlock 9424 provides for electric or manual locking / unlocking of swinging doors. It can be operated from a remote location or by key at the door. For additional security, it is recommended that the Motorlock 9424 lock be used with an Airteq high security door position sensor. An automatic door closer may also be used. 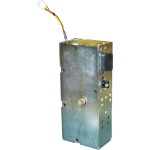 The Solenoid 9712P provides for electric or manual locking / unlocking of swinging doors. It can be operated from a remote location or by key at the door. For additional security, it is recommended that the Solenoid 9712P lock be used with an Airteq high security door position sensor. An automatic door closer may also be used. Easily replace old or broken minimum security locks and replace them with a medium/maximum security lock system.